Reliable ….. what a good snow & ice removal service has to be. When weather conditions are at their worst, South Jersey Tree Service will be there to provide the necessary services needed to keep your businesses or residential properties open and safe. 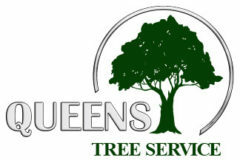 South Jersey Tree Service provides the highest levels of customer service, expert knowledge and personnel to perform the best snow and ice management services available. We understand the importance of delivering a safe, efficient and reliable service to your business or home. Our professional staff of experienced snow plow operators and snow & ice removal techs are dedicated to your safety. With the latest in high tech snow removal equipment at our disposal, South Jersey Tree Service is equipped to handle all snow and ice removal needs. From small properties to large, you can rest easy knowing our experienced crews are helping to clear the path to your front doors quickly and efficiently. South Jersey Tree Service works with a private local meteorology company to help us with weather forecasting, preceding and post storm data, and accurate certified snow totals so that there are no surprises.